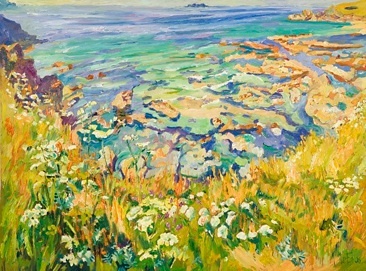 Mary Martin has painted professionally since 1975 when she returned to St. Dominic in Cornwall after completing her studies at the Royal Academy Schools. 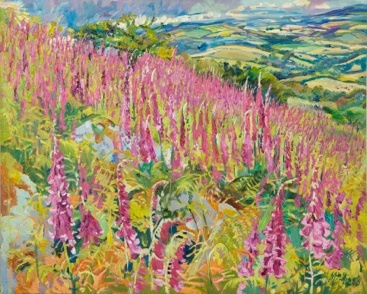 "One of Cornwall's most important and best loved artists", Mary has had numerous successful exhibitions. 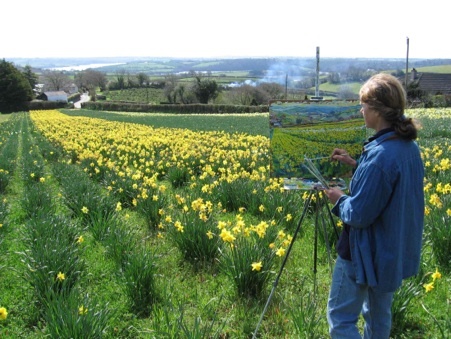 Her eloquent and evocative paintings of narcissi slopes, lush hedgerows, orchards and woods have become synonymous with her native Tamar Valley. 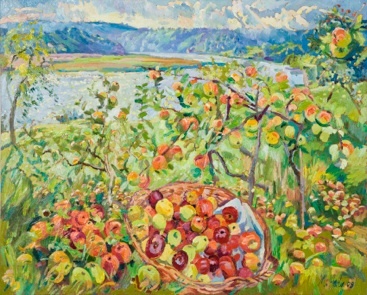 Her inspiration also lies in the Cornish coast and moors, and in rural Provence. 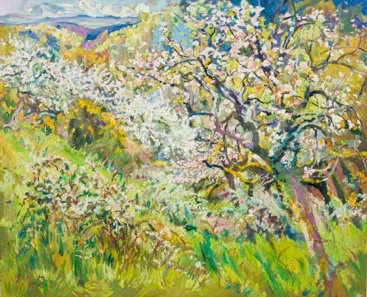 Throughout her career she has remained true to the discipline of painting out-of-doors, in all seasons, without recourse to photographs, and is still developing her consummate skill, capturing the fleeting light and its magical effect on landscape. Mary's work is richly imbued with a sense of place but it is her exhilarating portrayal of light and luxuriant use of colour that give the work a timeless atmosphere and universal appeal.